There are umpteen reasons why I love living in Minnesota (and one reason I don’t: winter. But let’s not talk about it). I love the friendly people. I love the accessibility of the cities. I love the trails, the parks, the lakes, the local shops, the creativity that comes out of this state. I love the food, the farmers markets, the commitment people here have to community and sustainability. I love all of the other seasons here except the aforementioned one. I also love the tomatoes. 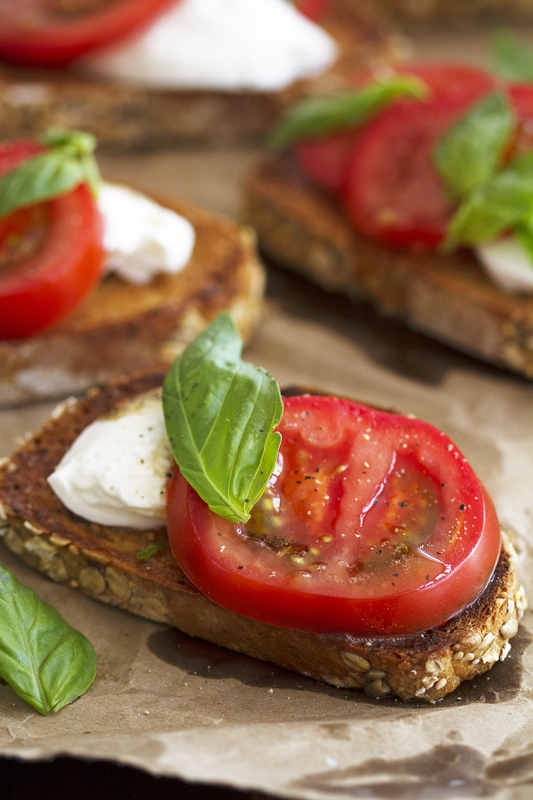 Especially when they are placed on open faced caprese sandwiches with brown butter and burrata. This recipe is created in partnership with Bushel Boy™ Farms, a Minnesota company that produces fresh, vine-ripened tomatoes year-round: Yes, even in the middle of January. 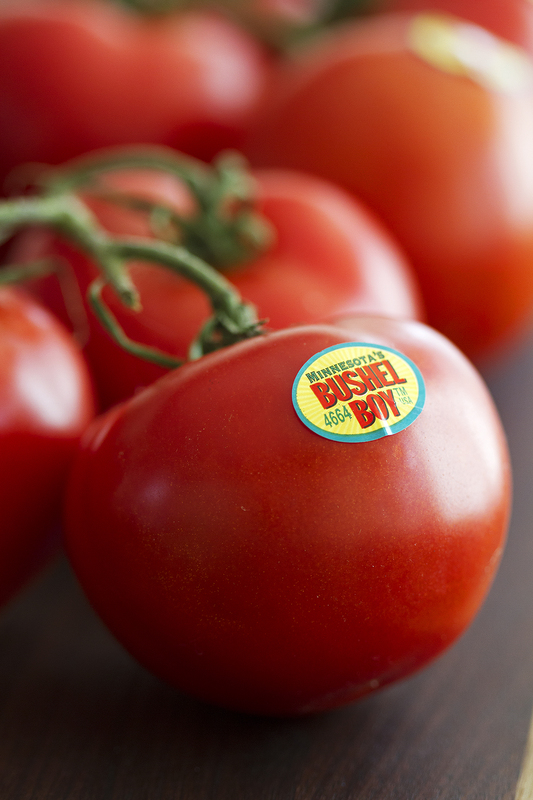 Their tomatoes are pollinated by bumblebees, grown with all-natural ingredients in greenhouses and are vine-ripened to ensure full flavor. They are some of my favorite tomatoes to buy at the grocery store because they are so sweet, juicy and fresh any time of year (something we Minnesotans can’t often say about other produce). When they invited me to create an approachable recipe that features their tomatoes and is great for entertaining, the answer came to me as if straight from the heavens: Brown butter. Fresh burrata cheese. Crispy slices of bread. Juicy tomatoes. Delicate basil leaves. A sprinkle of sea salt and pepper. Put it all together, take a bite and revel in the glorious combination. Because when you put soft cheese, fresh tomatoes and brown butter together, magic truly happens. And while you could serve these toasts as a starter for a spring or summer dinner party, there ain’t no shame in hoarding them all for yourself as a meal. If anyone else has tried them, I doubt they’d blame you. A few special notes about this recipe: There’s a not-so-secret ingredient that makes the toasts extra golden brown and crunchy, and that is mayonnaise. Have you ever made grilled cheese with mayo on the outside of the bread? GAME CHANGER. I took a cue from that geniusness and put it to use in this recipe with great results. Also, be sure to slice the tomatoes 1/3-inch thick. A quarter inch is too thin, and a half-inch is too thick. Trust. It’s the neurotic, perfectionist food blogger in me but it’s the little things that make this recipe sparkle like a unicorn. Or something. 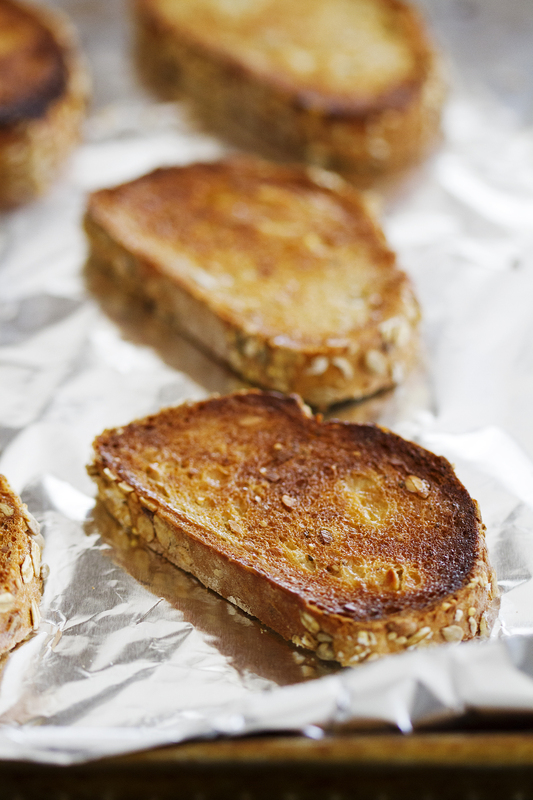 Finally, drizzle the brown butter over the toasts the minute it is done browning — do not waste a second. Also, don’t waste a second eating them once they’ve been drizzled with the butter, or they run the risk of getting soggy. Not that eating them immediately should be any issue. And now for perhaps the best part: The giveaway! 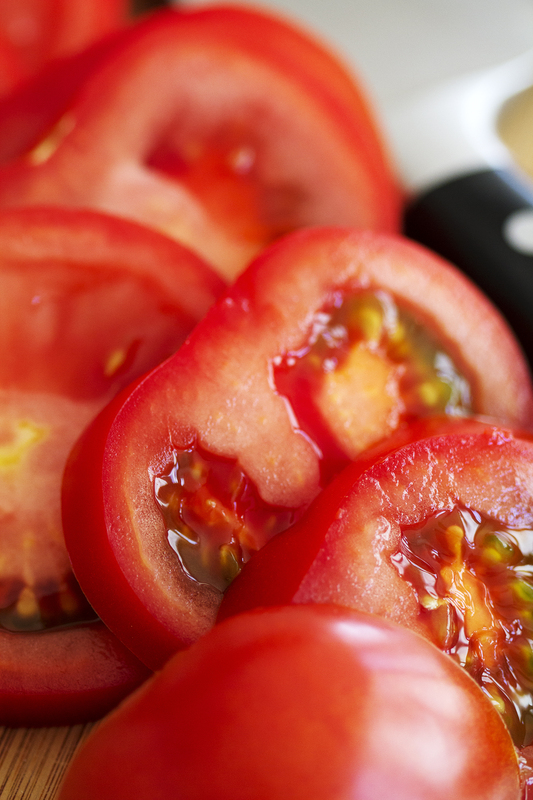 Bushel Boy is generously gifting one lucky reader with a Wusthof 5 1/2-inch tomato knife. See the widget below for details on how to enter! I won’t waste time explaining them here because I’m too busy stuffing my face with an open faced caprese sandwich right now, TBH. Heat oven broiler. Line baking sheet with foil. 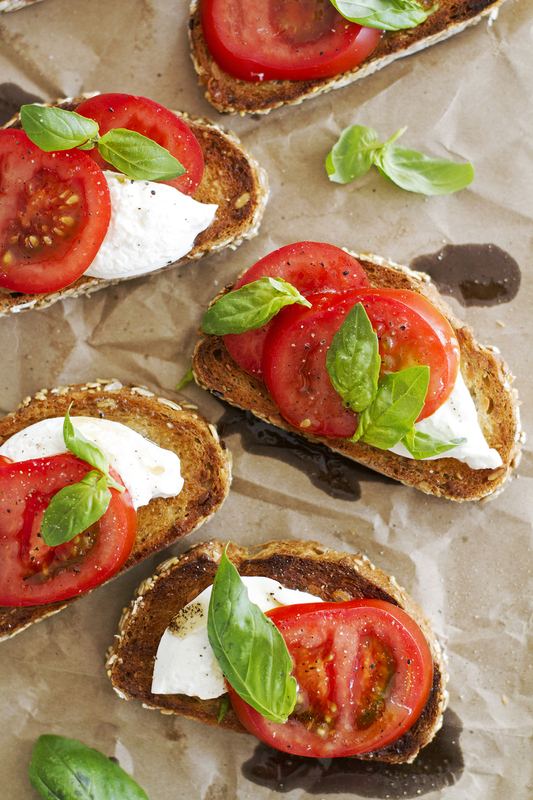 Spread 1/2 teaspoon mayonnaise on each slice of bread; place bread mayo side-up on baking sheet.